The Galapagos penguin is endemic to the Galapagos Archipelago and is the only penguin species that lives north of the equator. 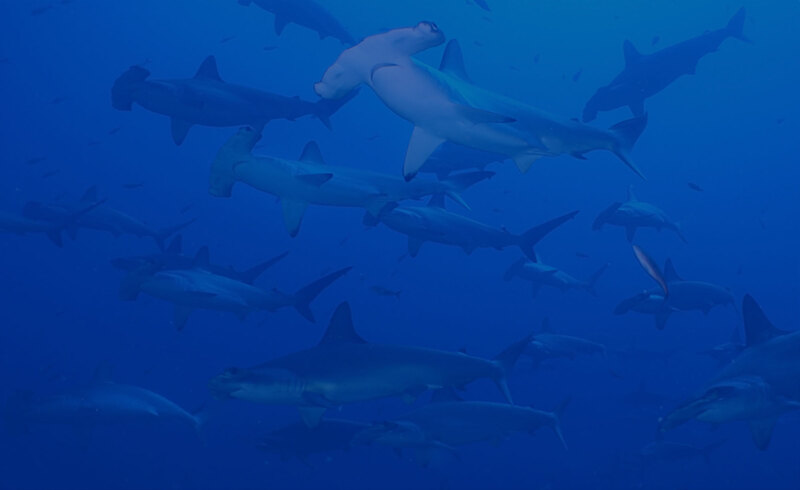 It is able to call Galapagos home due to the cool, nutrient rich waters around the Islands brought by the Humboldt and Cromwell Currents. Penguin biology is closely linked to environmental conditions, so population numbers are good indicators of ecosystem health. Around 95% of the Galapagos penguin (Spheniscus mendiculus) population lives on the Fernandina and Isabela islands in the western part of the archipelago, while the rest are scattered in smaller populations on other islands. The northern part of Isabela crosses the equator, making this species the most northerly of the world’s penguins. As a result, they have had to evolve many adaptations to be able to survive on the equator where the strong sun is a major problem. Physical adaptations include having more exposed skin than other species to aid heat loss and moulting twice a year to replace sun-damaged feathers. They also pant to cool down and seek shade during the hottest part of the day. 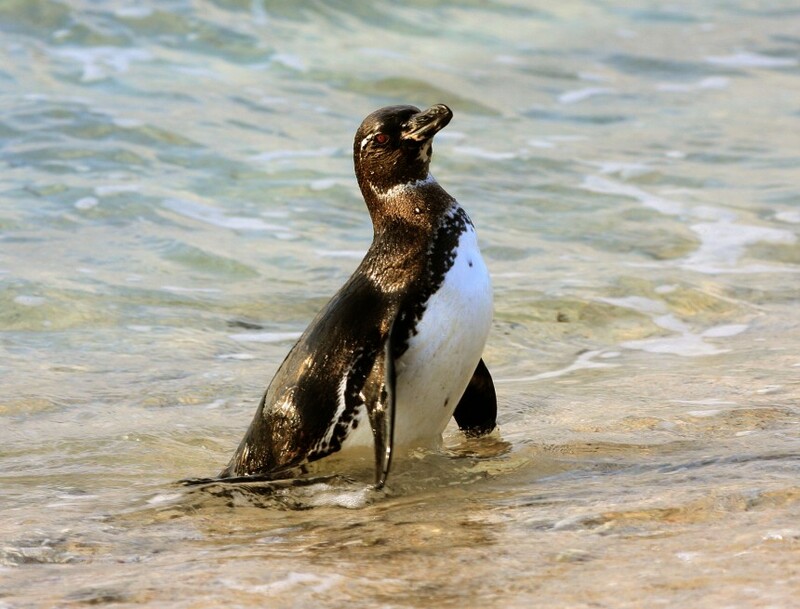 Galapagos penguins form monogamous relationships, meaning they stay with their partner for life. They can breed up to three times a year depending on the food supply. Breeding begins when the sea temperature drops below 24°C as this signals when the seas are most productive. The colder upwellings bring a supply of sardines, anchovies and mullets, the main prey of the Galapagos penguin. Simple nests are made from sticks, feathers, bone and leaves in hollows and cracks in the lava close to shore. Location of the nest site is important as it needs to be shaded to keep the eggs and chicks sheltered from the hot sun. A female will lay one or two eggs a few days apart and these will be incubated by both parents for 38 to 42 days before they hatch. Both parents will then feed the chick, taking it in turns to go out and hunt food a few days at a time. Next: Penguin Protectors – What issues do Galapagos Penguins face?